The Samsung Galaxy Note went on sale here in the UK last week, and now it has appeared on Amazon in the US for $849.99, although it looks like the device is being shipped from Europe as Samsung hasn’t officially launched it in the US as yet. The Samsung Galaxy Note comes Android 2.3 Gingerbread, and it features a 5.3 inch Super AMOLED plus display with a resolution of 1280 x 800 pixels. Other specifications on the Samsung Galaxy Note include a dual core 1.4GHz processor, 1GB of RAM, and 8 megapixel rear camera and a front facing 2 megapixel camera, it should be available in the UK from tomorrow, the 3rd of November. 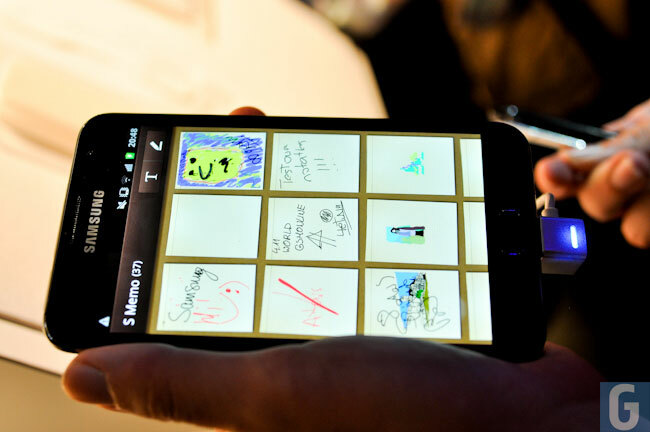 Samsung have also said that they will be upgrading the Galaxy Note to Android Ice Cream Sandwich later this year.